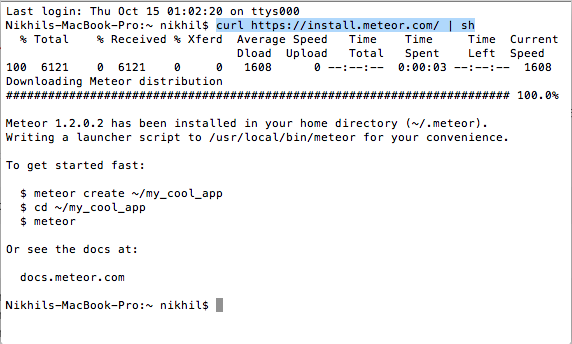 Go to this link and install Meteor. 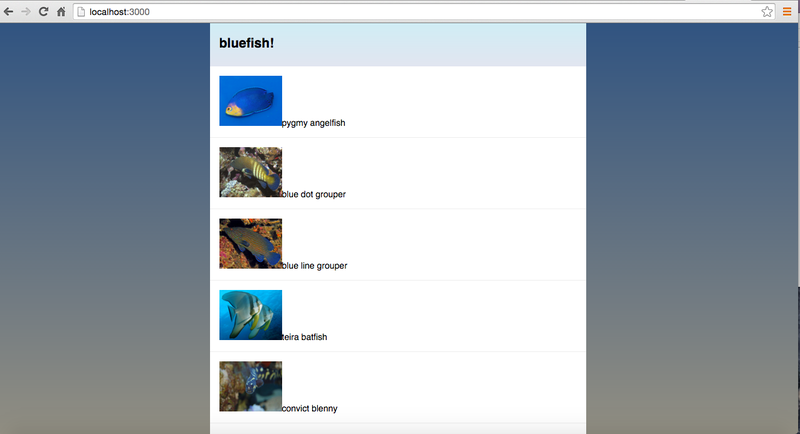 Once you are done with setup go to command like and create a directory named bluefish if you would like to follow remaining series of tutorial. 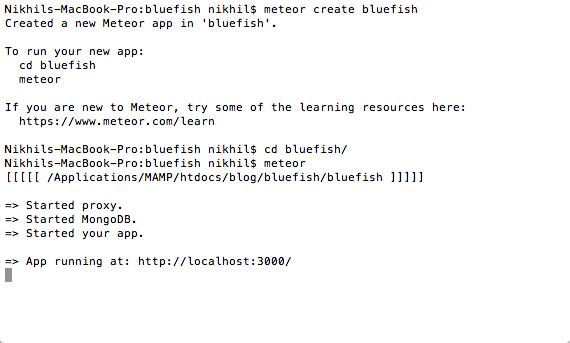 Created a new Meteor app in 'bluefish'. Now you can use your favourite code editor to change HTML and CSS and see if changes are getting reflected in your application without refreshing browser. 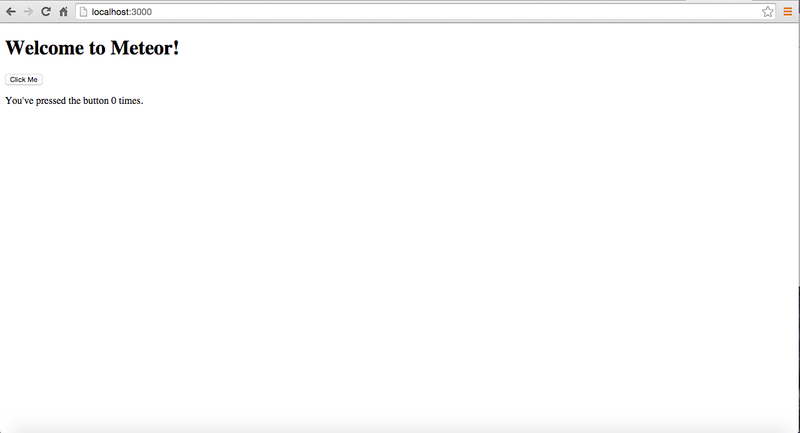 If you can see updated HTML in your browser, congrats you deployed your first Javacsript Server Side Application. It’s called hot code push. Now lets dig in a little and make our first bluefish list. You can write your custom styling in CSS file. For further information, visit https://www.meteor.com/tutorials/ or wait for next chapter of tutorial. Happy coding! 6 of 8 people in India go through workplace harassment without knowing they are being harassed. Wanted to share this important piece of advice for wellbeing of employees as well as employers. To employers- you don’t owe your employees, they just work for money and cause they trust in you. To employees- Know your rights, be aware. Even if you make mistakes no employer/boss has right to harass you. Dispersion of malevolent and untrue rumours, scandal or innuendo at the workplace. Isolating an individual socially and professionally in the office. Deliberately discouraging one or hindering his/her job. Altering instructions and guidelines constantly. Holding back important information or tenaciously providing wrong information. Cracking offensive jokes verbally or in written, especially in front of or about female colleagues. Sneaking into someone’s personal life, spying or pestering him/her. Making on sit idle without any work which is also a way to create mental pressure on a worker. Often companies take this way to make their employees surrender for voluntary retirement schemes. Screaming or showing vulgarity to an employee. Ridiculing one’s opinions. Unjustifiable punishment for trifles. Holding back deserved leaves, promotions and training. Meddling with one’s personal belongings behind his/her back. 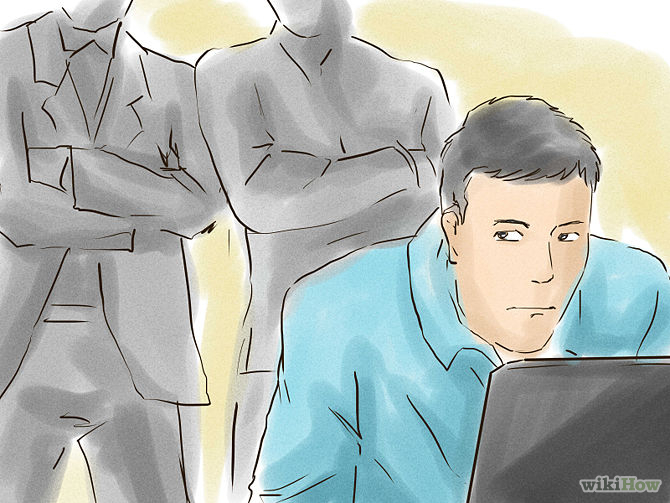 When any of the above happens to an individual, it indicates that he/she is falling prey to employee harassment. Be it the employer or co-workers, there are legal terms via which the offenders can be punished. Indian constitution guarantees gender, racial and religious equality as the ‘Fundamental Right’ of the residents of the country in Part III, Articles- 14, 15, 16 which implies for the workplace as well. Hence one faces discrimination by the employer because of his/her race, complexion, gender, caste or origin; he/she can immediately seek legal advice by consulting with a lawyer. The ‘Directive Principles of State Policies’ of Part IV encompasses the cultural and socio-economic rights of Indian citizens. Android 6.0 to be named Milkshake, Muffin or Marshmallow? What will Android M be called? ‘Milkshake’, ‘Muffin’ or ‘Marshmallow’? Comment your point of view. A blog about mobile technologies, music and mankind.